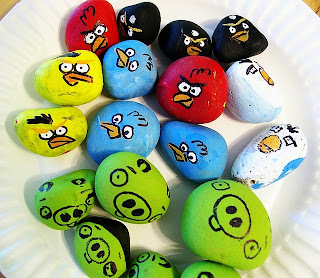 I love, love LOVE this make your own Angry Bird game idea from Brassy Apple. Playing Angry Birds is so addicting on the phone, but I dont always want my kids using all of my charge. Using rocks, blocks and a slingshot, older kids can play an IRL version. Just make sure that the kids stay clear of the flying rocks, we dont want any birds hitting an unintended target. I wish I had a reason to make this super cute rainbow unicorn cake from Triology Edibles. 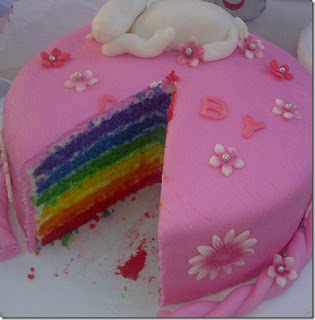 It is just so colorfol and girly. This could easily be modified for almost any type of girly party. love the angry birds stones. Gonna try them around here some time!